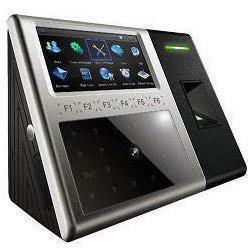 Fingerprint Reader Developed to operate in conjunction with the access control systems. 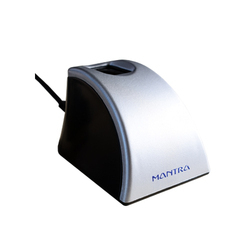 The device can store upto 4000 fingerprint templates, compressed using a proprietary algorithm. The Template verification takes less thanone second and has Less than 0.001lse acceptance or false rejection. Five security level verifications. With extensive knowhow in this domain, we are indulged in providing a supreme quality gamut of Fingerprint Scanner. The U.are.U 4500 Reader is a USB fingerprint reader featuring an elegant, sleek design with a soft, cool blue glow and, of course, the unsurpassed performance DigitalPersona is known for. Made for powerusers and shared environments, the 4500 is the natural choice for those who want and need the very best.